Welcome to my home Beauty, Hair & Makeup studio. I am excited to get back to the basic services & offer you my private clients a relaxed environment where you can privately have all of your personal beauty needs tended to in one place. Whether it be a special occasion or weekly maintenance Bianca Fallon|Beauty.Hair.Makeup will cater for your personal beauty needs. 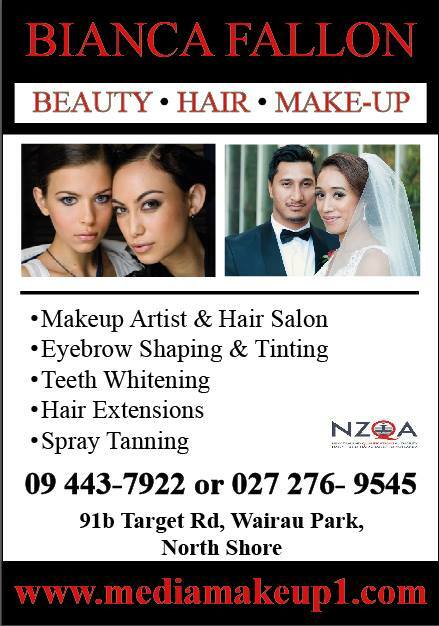 Salon Location: 91b Target Rd, Wairau Park, North Shore, Auckland, New Zealand.